ClearPatch Lotions contain fully dissolved and bioavailable natural Progesterone, Estriol & DHEA. Paraben-free formulas promote rapid transdermal absorption of hormones. Safe and natural alternative to hormone replacement therapy for women and men. 100% of the hormone is bioavailable. Ease of use: required dose is contained in a small amount of lotion, which can be inconspicuously applied any time. 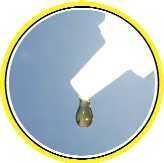 Dose measurement is achieved by counting drops. Convenience: small 1 oz. bottle easily fits in purse. What makes ClearPatch Lotions unique? ClearPatch Lotions are formulated using human-friendly ingredients with focus on effectiveness, high absorption and convenience of application. ClearPatch makes accurate dosing possible. An average drop of lotion delivers a specific amount of progesterone, estriol or DHEA. Thanks to easy dispensing of any amount of lotion with known hormone content, appropriate individual dose can be determined by observing how symptoms react to treatment and adjusting the dose accordingly. for progesterone, estriol and DHEA? Natural progesterone, estriol or DHEA can be delivered through the skin to the blood stream, bypassing the digestive system and liver in the initial phase. Proper composition of delivery vehicle (lotion) is the key factor in effectiveness of transdermal delivery: it determines how much of the hormone becomes bioavailable; in other words - makes its way to the blood stream and can be utilized by the body. ClearPatch Lotion formulation is focused on maximum bioavailability. Oral preparations are least efficient. Having passed digestive system and liver metabolism, only about 10% of progesterone reaches circulation, requiring larger doses to compensate for the loss. Most progesterone creams contain micronized hormone (ground to micron-size particles). In most of those preparations only small portion of progesterone is dissolved, the rest is suspended as micron-size particles. Those particles cannot be absorbed by the skin and remain on its surface. Progesterone is wasted as a result, requiring application of larger amounts to make up for the loss. Unabsorbed progesterone is transferred onto clothing, objects and people we touch. Unabsorbed constituents of dried cream contaminate our environment: they become part of the dust we breathe in. An average brand of progesterone cream can be in a certain way compared to coffee with added sugar that hasn't been stirred. Even though the amount of sugar is right, coffee isn't sweet because sugar remains undissolved. In making ClearPatch® lotions we go a step further. We start with micronized USP grade progesterone (estriol, DHEA) and make them fully dissolved. Only in this form the hormones can be absorbed by skin and are 100% bioavailable. The efficiency of ClearPatch lotions allows to maintain physiological levels of progesterone using doses smaller in comparison with creams. Average drop of 5% lotion contains 1.4 mg of progesterone. Average drop of 1.5% lotion contains 0.5 mg of progesterone. Other brands do not provide easily measurable doses. Some of them do not even state the amount of progesterone they contain. Statements in this publication have not been evaluated by the Food and Drug Administration.